Google Maps has completely let you down. You’re lost in a foreign city… where you only speak a little of the local language. You decide to step into the nearest café, hoping the staff may be able to help you out. The owner, an elderly gentleman, is inside. He understands your predicament. He kindly confirms your suspicion that you are nowhere near your destination. Then, he offers you some coffee on the house. You appreciate the offer. But you have paperwork that needs to be sorted at the local government offices. You explain (as best you can with your limited language skills) that you need to get to your destination as quickly as possible. No problem. The old man instructs you to follow him… out of the café. He gets in his car. You get in yours. And you follow him through the streets of the city to the building you’ve been looking for. At which point, your new friend gives a beep of his horn and departs the scene to take his next coffee order. This is exactly what happened to British expat Alyson Sheldrake when she and her husband found themselves lost in the Portuguese city of Faro. Alyson shared this anecdote at our Live and Invest in Portugal Conference last year to highlight how genuinely friendly the Portuguese are—often going out of their way (literally) to help a neighbor… and even a complete stranger. You may have the idea that the Algarve is just a place for a vacation… with little beyond beach life. It’s true that some villages here thrive on high season, becoming ghost towns during winter. So, if you’re looking to live here through the cooler months, you want to avoid those spots. In Portugal, you’ll have 300 days of sunshine—often with a welcome breeze from the Atlantic. Away from the beaches are nature reserves and mountain paths… golf courses… and historical villages. Family life is important here. The Portuguese can spend hours chatting with friends at an outdoor café. Come evening, the whole family will take a walk together. As for the beaches, you can, in some parts, walk for miles without meeting another soul. Even in high season, a popular resort town like Lagos doesn’t come close to the crowds in the hot spots of Spain or Italy. English is commonly used to do business in the Algarve. You’ll have no problem communicating with local realtors or attorneys—making for a smooth transition as you try to learn at least a little Portuguese. And, while the gap has been closing this last year between dollar and euro, this year still holds opportunity for the American buyer in Europe… particularly, here in often-overlooked Portugal. This year, we see the best opportunity in the lesser-visited areas along the Algarve… as well as in the Porto region north of Lisbon. 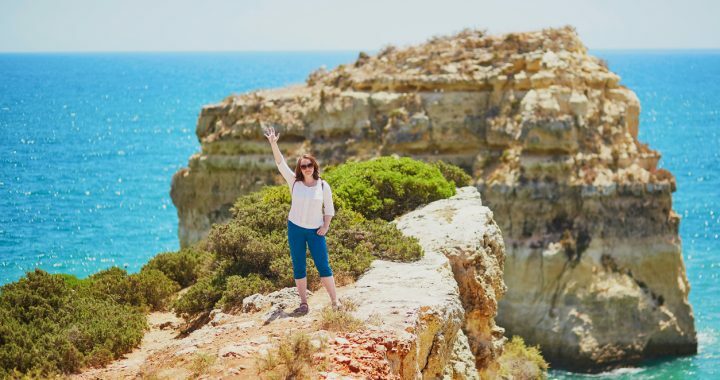 We’ll walk you through all your best Portugal options this May on the ground in the Algarve… and have our team of expats in the house (all from varying backgrounds) to share their hard-won knowledge from the trenches. Of course, you’ll also have the chance to hear from our experts on all the important move-overseas issues—including buying and renting property, opening a bank account, learning the language, applying for a residency visa, finding suitable health insurance, doing business in this part of the world, and lots more. We have 40 complimentary VIP Packages for this Portugal event… which we’ll allocate on a first-come, first-served basis.